We are happy to announce that the library recently added IBISWorld to our collection of eresources. 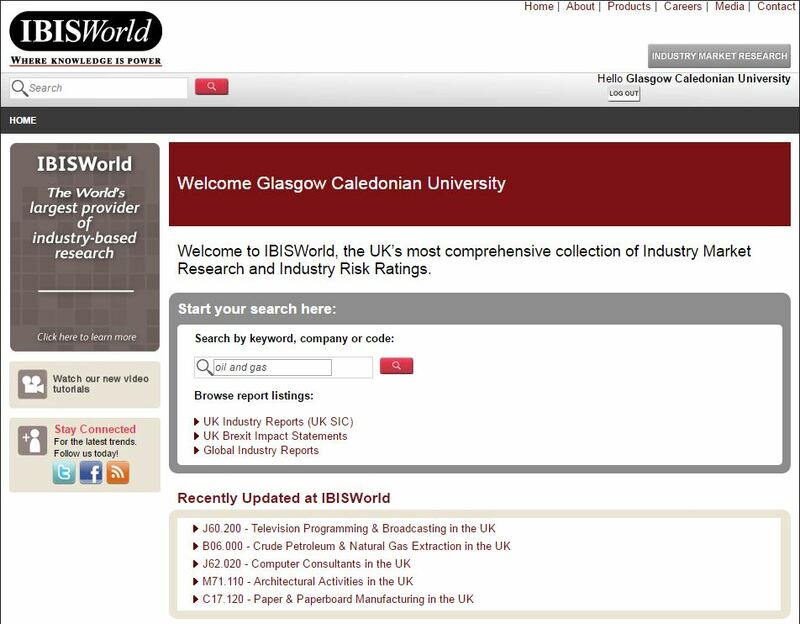 IBISWorld is the UK’s most comprehensive collection of Industry Market Research and Industry Risk Ratings. Users can find extensive and up to date information on hundreds of UK industries, as well as global industry reports and Brexit impact statements. This resource will be of particular use and interest to users who are familiar with the Key Note resource, which was retired in July 2016. You can access this resource directly from our Database A-Z by logging in with your domain username and password. For more information about IBIS World please visit the Companies, Business and Enterprise subject guide. If you require assistance using this resource please contact your librarian. This entry was posted in Eresources, Library news. Bookmark the permalink.